H27cm (including ears) x W12cm (with arms at sides) x D8cm. 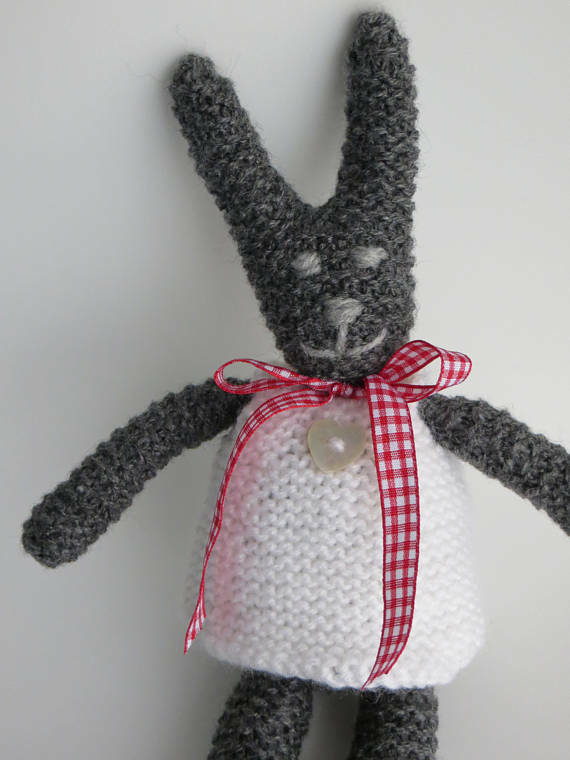 A hand knitted Miss Rabbit trimmed with a gingham ribbon and a pretty handknitted removable dress, with a pearl heart shell button at its centre. 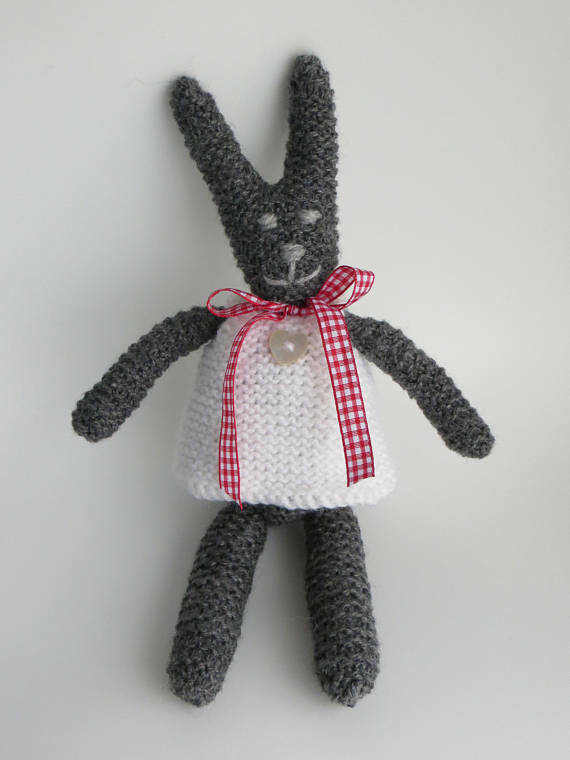 A great gift for babies, children and adults alike and would make an attractive addition to any shelf or windowsill! 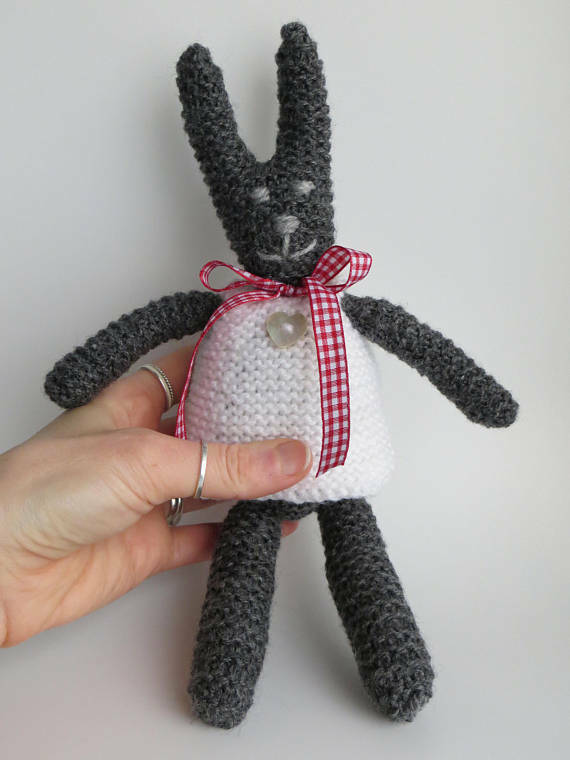 Filled with polyester stuffing and machine washable at 40c. CLOCK NOT INCLUDED. For illustration purposes only. Materials: DK wool/acrylic mix wool, polyester stuffing, ribbon, button.